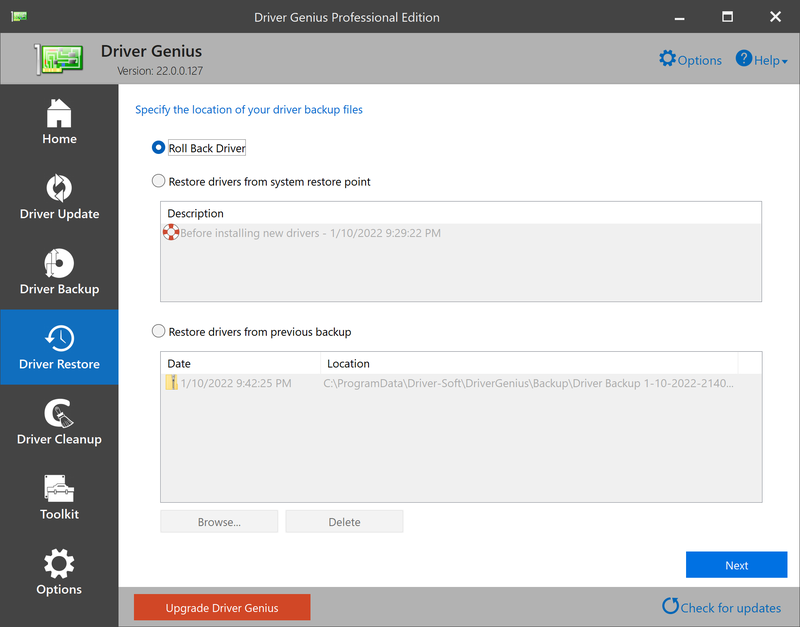 Driver Genius can roll back a driver to its previous version independently now. If the device can not work after updating the driver, roll back to the previously installed version one. 1. Click the 'View update history' button in home window. 2. Click the 'Roll Back Driver' button beside a driver update to roll back to its previously installed version one. Besides, you can click the 'Reinstall' button to reinstall the driver update again here. You can also delete a driver update file by selecting the checkbox beside the driver and click the 'Delete' button below to free up more disk space.